Somebody give me a sharpie. When Bond No. 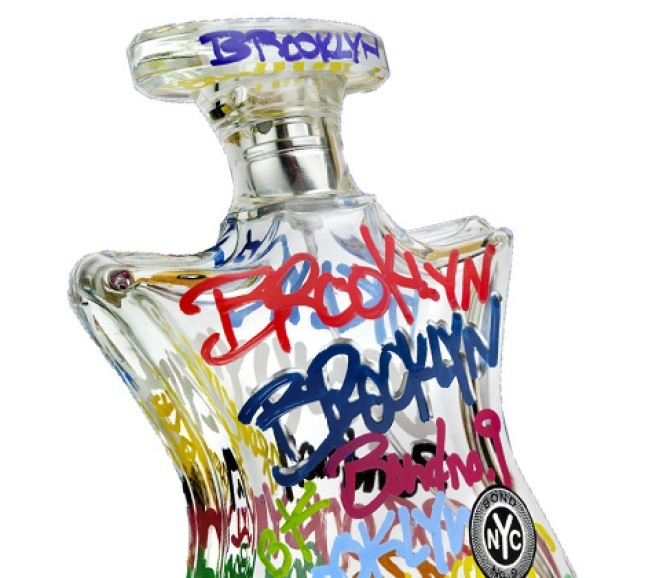 9 released its designs for a new $220 fragrance called Brooklyn, the reaction to the cheesy grafitti-covered glass was, well, mixed. The consensus though: It looks sort of like what might happen if the kids on the "Real World: Brooklyn" got drunk, did some whippets and then pretended they were Stephen Sprouse. So the company turned to its critics and said, "Well, you think you can do it better?" The contest will run until March 31 (the unisex scent, which is cardamom and ceder tinged — so Brooklyn — hits shelves in March) and entries should be emailed to Bond No. 9 using the template blank here. The winner gets his or her design produced and gets one free bottle of Brooklyn a month for a year. That seems like an awful lot of juice to splash on yourself every month, but, the cardamom is such a subtle scent — just like Bushwick.